Guess What! 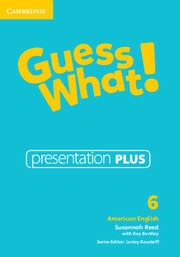 Presentation Plus Level 6 is an all-in-one resource presentation tool to help you plan and deliver lively, engaging lessons. With a user-friendly interface it combines fully interactive Student's books and Workbooks, interactive board tools, the complete multimedia library, teacher's resources, including an online teacher training course on using digital tools in the classroom, and access to extra activities in the Cambridge Primary Platform (LMS). 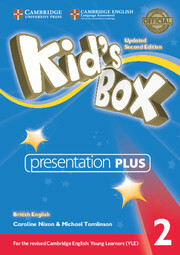 Presentation Plus can be used with interactive boards, or simply a computer and projector.